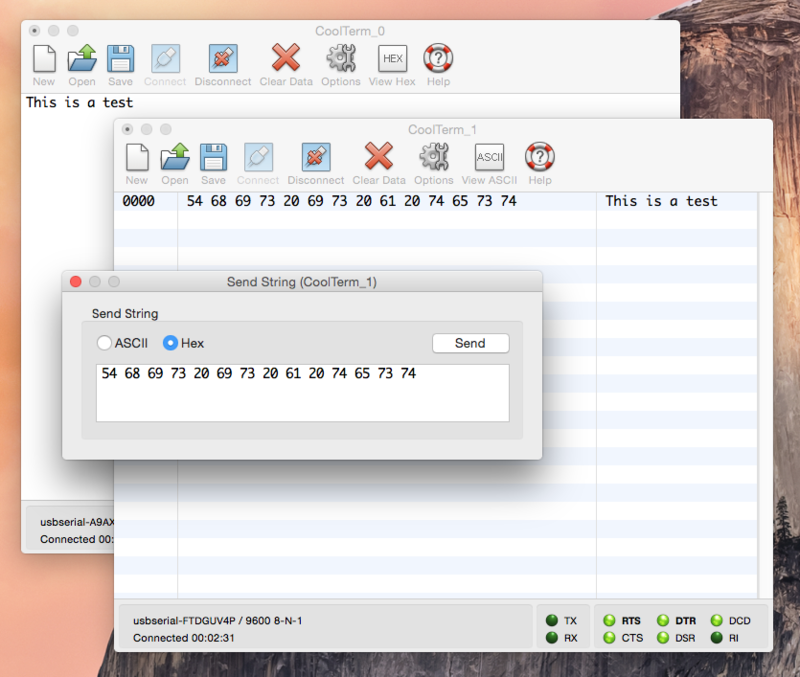 Rob Faludi just turned me on to CoolTerm, a serial terminal app for OSX and Windows. It looks like a nice addition, and is cross platform, which is handy for teaching; no need to reference different apps on different platforms. I’ve only tried it out a little, but so far, it’s nice. You can have multiple ports open in multiple windows, and you can see bytes in ASCII or hex. It’d be nice to see them in decimal too, but that’s just a wish. This entry was posted in electronics, OSX and tagged OSX, serial, Windows. Bookmark the permalink.